The Web is a tangle of information. Data is everywhere and finding reliable sources can be a challenge in the era of fake news. Websites, as a prime example, can be informative or misleading. You may get your hands on something useful or be deceived – and learning more about domain owners and assessing whether they’re trustworthy is notoriously hard. This is where the powers of WHOIS databases come in, whose applications are multiple — ranging from cybersecurity to marketing research to criminal investigation. How so? This white paper considers a variety of use cases. With countless new domains registered on a daily basis, it’s difficult to stay informed about who owns the web. However, with WHOIS and WHOIS databases, this is possible. Let’s take a look at these as a starting point. In a nutshell, WHOIS is a suitable way to collect and verify data about individuals and organizations with an online presence. A WHOIS record is automatically created as part of each domain registration, and it includes identifiable information such as the domain owners’ names, contact details, and physical addresses alongside important dates regarding the creation, expiration, and transfer of domains. What is a WHOIS database? WHOIS databases are structured sets of WHOIS data that enable the reviewing of thousands or more domains simultaneously. In fact, raw WHOIS data, with each record being separate, is of little interest to large-scale users like, for example, cybersecurity and marketing departments seeking to check multiple online entities at once. WHOIS databases are built by third-party providers, like WhoisXML API, and their utility can be evaluated according to their breadth — i.e. the number of TLDs and ccTLDs included — and accuracy — i.e. whether they are maintained and updated regularly with the latest domain information. Cybercrime activities have reached unprecedented levels. The 2018 Data Breach Investigation Report from Verizon accounted for 53,308 security incidents during the year, 2,216 of which resulted in data breaches. Organizations and the public alike are at risk. For example, Under Armour, a sportswear manufacturer, claims nearly 150 million of its MyFitnessPal accounts to have been compromised due to hacking, while the hotel chain giant Marriott has had data from 500 million of its guests stolen as a result of a cyber attack. Individuals are also a target of malicious emails with the average user receiving 16 shady emails on a monthly basis. How do WHOIS databases help improve cybersecurity? Cybersecurity teams have their hands full counteracting hackers and scammers whose nefarious skills and familiarity with modern systems make such efforts increasingly difficult. So what’s the way forward? Comprehensive countermeasures must be put in place — combining traditional and unconventional techniques. Besides strengthening anti-virus and firewall capacities, cybersecurity personnel can look into domains and their infrastructure to identify threats and come up with solutions. With WHOIS databases, individuals and businesses have access to accurate data to fight different cyber threats. Counteracting phishing Leveraging WHOIS information allows users to verify, check, and compare details of domains whose owners claim to be one entity but show up differently in the record. Combating malware Users can use WHOIS records when they suspect that a website may have been created for malicious ends. Warning signs include recent registration dates and registrants in high-risk countries. Scoping malicious activity Users can identify connected websites, IP addresses, and domains that could be linked to fraudulent activities by cross-referencing WHOIS data with other DNS details. Proactive cybercrime prevention Once a malicious domain has been identified through its WHOIS records, that address and the ones connected to it can be blacklisted to protect visitors from the same or similar attacks. As threats continue to rise, organizations are recognizing that investing in prevention is better than mitigating the consequences of costly data breaches. Threat hunting, or actively searching networks to identify and eliminate threats, alongside threat intelligence, gathering evidence-based data to make informed decisions, has therefore gained momentum. How does WHOIS support threat intelligence and hunting efforts? What are the weak links in a given corporate network? Which corresponding tools should be adopted? As an SMB or a large organization, where would security budgets be best allocated? Affordable access to WHOIS databases could provide insights for threat hunting efforts and bolster existing threat intelligence platforms. Proactively looking for threats Real-time domain WHOIS data allows users to cross-examine registration details with sources of cyber data to identify threats. Examining newly-registered domains Automated notifications about new domains using WHOIS databases permit implementing proactive measures, such as the blocking of dubious websites. Powering threat intelligence platforms Users can feed WHOIS data into their threat intelligence platforms to get a closer look at the infrastructure of certain hosts. The Internet landscape is growing by more than 7 million domain registrations each year. This surge has made the Web a crowded place and an exciting market for domainers. Why do WHOIS databases matter to domainers? Domainers are hard-pressed to anticipate market trends and put their hands on the right names before anyone else does. However, there are other aspects to bear in mind like ensuring domains they purchase have been lawfully used. WHOIS databases allow staying on top efficiently. Secure and fast purchases Domainers can perform the necessary background checks on domain name availability while also getting updates on newly-registered or recently-expired domains that are available for purchase again. Valuation and safe ownership transfer Domainers can access the full history of a domain’s transactions including the date it was created, when it is due to expire, to whom it belonged, for how long, and through which registrar. What’s the value of intellectual property? Well, 3,000 trademark infringement lawsuits are filed in the US every year, and to reinforce this statistic, 3,074 WIPO cases were filed by trademark owners in 2017 through the Uniform Domain Name Dispute Resolution Policy (UDRP). How can WHOIS support infringement detection? Disputes on domains and trademark infringement are generally costly, especially when reliable domain information is not available. Not only do they take a lot of effort to go through, but they can also result in damaged reputations arising from bad publicity and lead to lost sales and revenues. So how can IP management teams keep company assets protected from cases involving brand violations? Here again, WHOIS databases can prove their efficacy. Monitoring competitor moves The WHOIS protocol lets brand managers anticipate what their competition is planning through the analysis of newly registered domain names and potential launches of new products. Preventing infringement Users can monitor domains that have similarities to their brand – perhaps to cause confusion or damage reputation – and use WHOIS contact details to start remediating the situation. Protection from brand abuse Users can receive messages of registration attempts that contain company trademarks or similar keywords for which they own usage rights. Market researchers have been on their toes as budgets go down to maximize return on marketing investments. Indeed, Procter & Gamble saved $750 million in 2018 by reducing advertising expenditures and cutting agency costs by 50%. So where can facts be gathered to support the business rationale of upcoming campaigns? How can WHOIS data be used for marketing activities? Traditional research techniques are not as effective as they used to be in a digital-driven world, and they do not allow identifying trends and remain a step ahead of their competition. WHOIS databases, on the other hand, can contribute to in-depth data analysis and fuel marketing initiatives at several levels. Recognizing new opportunities WHOIS records add to and improve the accuracy of existing business contact database, allowing companies to engage purchasers and sellers. Having relevant information on domains Marketing departments are able to detect available neighboring domains to expand their product lines or rebrand themselves. Staying on top of competitors and industry trends Marketers can stay updated on the movement of domain registrations, acquisitions, and other such activities to monitor and foresee upcoming trends that may affect their competitive position. There are almost 3,000 accredited domain registration companies present in the registrar market. Stiff competition has called for service differentiation as well as cost reduction, and that requires clarity on where the industry is heading. How does WHOIS add value to registrars? Let’s say you operate in the registrar market. Would you like to know where you’re positioned in the industry? What’s your market share in a given country or for certain TLDs? Are there new entrants worth watching out for? To which service are your registrants migrating or from whom have you “stolen” customers? These are some of the questions you can answer with WHOIS data integrated into databases and track everything that’s happening with domain names. 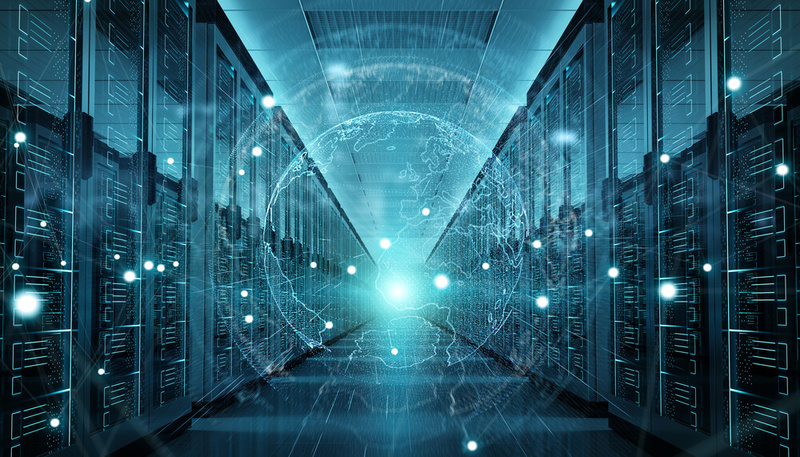 Streamlined access to data Registrars are able to set up WHOIS APIs connected to databases, saving time and avoiding the complexity of developing the backend themselves. Reliable domain registration, management, and transfer Registrars can use the information provided in databases to execute daily activities — checking domain names availability, confirming domain histories, identifying dangerous domains, and facilitating transfers for domain owners. Combating phishing Registrars can help law-enforcement agencies by providing them with in-depth knowledge of domains that are involved in cybercrime. The current cybercrime situation is quite rampant, and law enforcement agents are never out of work. Just recently a cybercrime ring that has been accused of trafficking stolen identities was taken down by US authorities. However, not all cybercriminals are easy to catch. Perpetrators are becoming more creative and slippery than ever to prosecute. How can WHOIS data contribute to law enforcement? Law enforcement agents need as many insights as possible to track down lawbreakers. Having complete access to domain information can turn particularly valuable to conduct effective investigations and study and anticipate cybercriminals’ behaviors. Getting investigative leads Agents can investigate, trace, and analyze leads to possible malware authors and fraudulent website owners who may be part of a larger group of hackers and offenders. Gathering information to prepare cases Domain data can become part of threat data collection processes aimed to protect the public, build legal cases, as well as seize and take down suspicious domains following a trial. Assistance during investigations Domain ownership data can be obtained immediately through WHOIS records to support investigations, locate site owners and their service providers, as well as to support communication with courts and governmental authorities. Fraud levels have risen from 1.58% to 1.80% in 2018, while losses due to online payment scams are expected to reach $48 billion by 2023. That’s the dark side of business increasingly being conducted online, and it’s eroding customer trust. What is the relevance of WHOIS databases for e-commerce businesses? Online businesses need to effectively detect and prevent malicious activities — e.g., scammers seeking to get their hands on customers’ information. However, they don’t often have the time to monitor and analyze unlawful attempts one by one. Individuals, in parallel, may think twice before disclosing their details on a new website and completing a purchase. Being able to perform queries at scale via a trusted WHOIS database or API easily is an effective way to intercept and combat fraudulent behaviors. Fraud prevention Users with WHOIS protocol access can investigate a website’s validity and credibility before giving up their credit card or other online payment information. Fraud identification Being able to flag users labeled with risky email IDs and websites could help identify malicious intents. Fraud investigation Cross-checking information in WHOIS databases enables people to investigate suspected illicit money transfers or invoices for possible scams. Without a doubt, cybercriminals and fraudsters are after money — and the people who hold it. For that reason, financial stakeholders are the common target of social engineering attacks where business proposals often sound too good to be true. What are the applications of WHOIS for banks and financial institutions? Financial organizations must show due diligence before they proceed with large transactions — e.g., payments for services and new projects, acquisition of a new technology or innovative company, etc. What’s more, deciding whether or not to commit funds to a new business is hard for venture capitalists, private equity firms, and banks. In these and other circumstances, dependable WHOIS information is essential to make the right moves and avoid lemon investments. Recognizing new opportunities Investors can analyze domain information from WHOIS databases and learn more about the veracity of claims made during funding decision processes. Better understanding the business backstage Recent changes in WHOIS data and domain owner information reveal a lot about the state of possible mergers and acquisitions, investments, spinoffs, and business liquidations. Enhancing business intelligence Investors and banks can use domain registration data to improve their business intelligence efforts. WHOIS data can provide information on the structure and dynamics of companies using data mining techniques. With the World Wide Web reaching more than 1.8 billion websites and the emergence of fake news, sorting and verifying information is now harder than ever. How can media specialists differentiate themselves? Is the drop in the quality of online news inevitable? Why is WHOIS data helpful to journalists? Journalists need to keep up by performing a deeper analysis of content that matters while disregarding irrelevant sources. In that process, WHOIS databases can serve as an investigative tool to process large amounts of data about multiple online entities and uncover scoops. Monitoring for new stories WHOIS database can be used to keep track of target registrants and their activities such as product launches, service developments, and new ventures. Verifying information Journalists can make sure that their facts are right by looking up WHOIS data and, if they are in doubt, contact the entities of heir interest. Getting the data that matters Bulk WHOIS functionality allows users to obtain and filter data in batches using custom attributes and obtain the desired results for groups of domains immediately. There are plenty of uses for domain ownership data in today’s business world. It can be applied to fortify an organization’s cybersecurity, enhance marketing strategies, collaborate with law enforcement, enhance brand protection, and much more. Are you interested in experiencing how WHOIS databases can benefit you as an individual or organization? Send us your questions at general@whoisxmlapi.com. To download the full article in PDF, please fill in the form. Please keep me updated on news, events, and offers.